When BAYADA Nurse Mat Gunkel, RN, realized that his teen-aged home health care client Dominic needed an adaptive bicycle but couldn’t afford one, Mat didn’t stop at anything until he got Dominic on the road again. 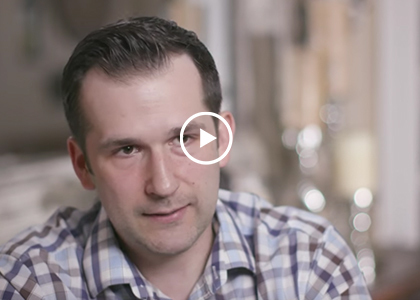 Watch their heartwarming story to see why Mat was chosen as BAYADA RN Hero of the Year! Kerri Tuttle, PT, came to BAYADA after working at a fast-paced outpatient army clinic left her feeling she couldn’t help people the way she wanted to anymore. Now as a BAYADA Physical Therapist in Phoenix, AZ, Kerri has the time to work one-on-one with clients, helping them regain the function, mobility, and quality of life they may have lost due to an illness, injury, surgery, or chronic condition. 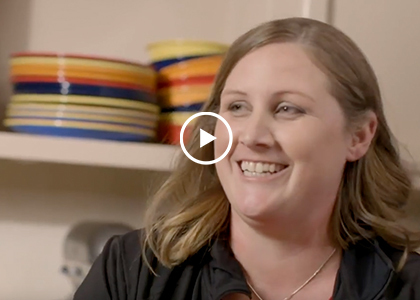 Watch this video to see how Kerri ’s trademark empathetic and caring nature has made all the difference—and made her a true hero—to her clients. When BAYADA client Billy was born with cerebral palsy, doctors told his parents he’d never be able to come home with them. But the Andersons always knew they would raise their son at home no matter what; and they did, brilliantly. Now an adult, Billy receives care from BAYADA Home Health Aide Cruz Sandoval, CHHA, who also takes care of his aging father Bill while Billy’s at his day program. Watch their life-affirming story to be inspired by Cruz and the family who says she’s never let them down in nine years. Liz Gouldey, LPN, went through a lot of jobs until she discovered that home nursing is her calling. Now she cares for Jim, a former fitness instructor who began to get ill early in his marriage to Lisa. Now living with the debilitating disease ALS, Jim and Lisa are so grateful for the cheerful energy BAYADA Nurse Liz brings into their home. 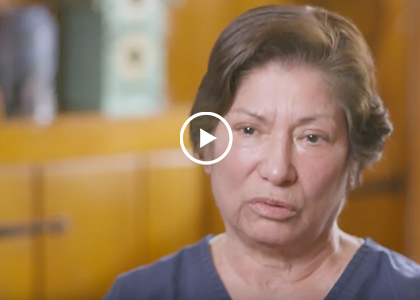 Watch their deeply touching story to see why Liz was chosen as BAYADA LPN Hero of the Year!